We are a Denver, CO based company specializing in QA Automation Testing Services. Tie your development processes together with Continuous Integration and Deployment. Get support when you need with our flexible support model, even after project completion. We specialize in Managed QA and Automation Testing Services. Our team of Senior developers (ex-Google, Microsoft and Qualcomm employees) will build your project with strong foundations. Our quality is impeccable and our implementation times are half the industry average. We started as a QA Automation Test Framework Development Company and are still the best vendor in Denver area for Automation Testing Services and Managed QA Services. We design solutions that are designed to last. Our solutions don’t just check boxes, they solve our clients’ problems. 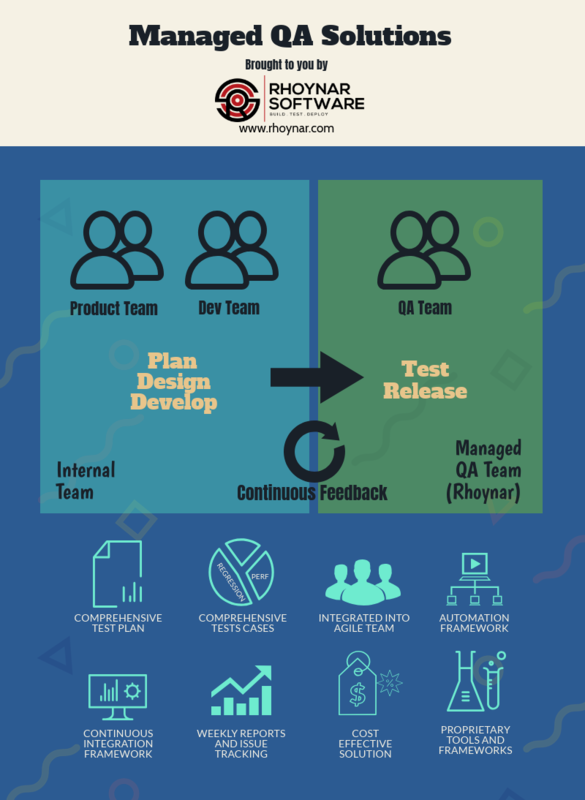 Rhoynar team went above and beyond our expectations for delivering an automation testing service platform and CI/CD solution for our software product. Their solutions were robust and maintainable and they provided excellent long term support for the project. Our automation and CI/CD system is a core part of our development cycle now. As an entrepreneur, I found that my product implementation with Rhoynar was the easiest part of my startup. I just had to explain my vision – and Rhoynar team would come up with mockups and prototypes and ask all relevant questions that I could have never thought about. This allowed me to focus my time on growing my startup business. We are an scientific instruments company, and we had a hard time finding the right talent for automation testing services for our embedded software. We were lucky to run into Rhoynar team – they not only developed our embedded software automation platform, but also implemented front-end web-app for our latest flagship instrument this year. Our team has strong background and experience in Automation Testing Services, BDD Test Framework Development and CI/CD Integration. We also provide excellent Web/Mobile Development Services using Angular and ReactJS. 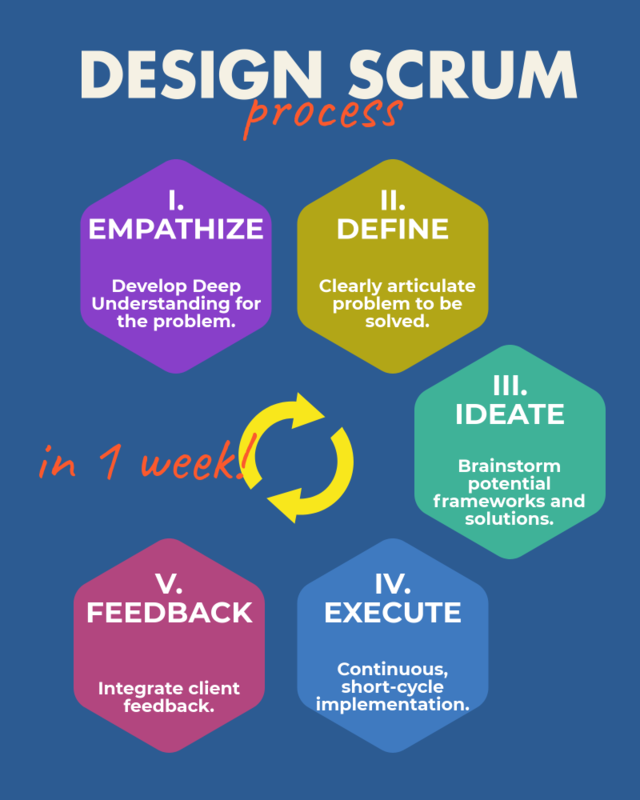 We follow Design Scrum process – within first week of engagement, you will have a complete prototype, plan and milestones for rest of project. Whether you are looking for Automation Testing Services or Web/Mobile Development, we can be a reliable implementation partner. Web and mobile applications with React, Angular, Node and Mongo. Automation Testing Services and fully Managed QA Services. CI/CD with Jenkins. DevOps with Chef and Puppet. These are some of our specialities. Rhoynar Team developed Angular5, HTML5, BootStrap4 based web-app that can run on client’s flagship embedded devices for 2018. The web-app runs behind a lightweight NGINIX server hosted on the embedded device. The web-app provides support for embedded device configuration and calibration for different sensors. MCN Healthcare provides medical policy management solutions to hospitals and medical institutions. With the help of Rhoynar team, MCN Healthcare enabled an end-to-end test automation and continuous integration system for their software platform. ZFyre is a Longmont based startup providing enterprise cloud data solutions. Rhoynar team developed their secure MVP application which provided data compression, custom security encryptions and Open API integrations. This web application was developed in Angular and we used Node and MongoDB server on the backend. MVP Finance is a Longmont based startup providing educational software in Finance field to different colleges. Rhoynar team developed the entire mobile application prototype for Finance training. This project was developed with React Native Framework initially for Android platform and then extended to support iOS platform as well. We are a firm believer in Open Source. All frameworks we use are open source and we try to reciprocate as much as we can. Robot Framework allows you to define reusable steps in English to build an automation framework. With powerful third-party library support, Robot Framework supports Selenium, Appium, REST APIs and most other things you may need for building a Test Framework. Get started with clear documentation and starter project below. BDD (Behavior Driven Development) is a powerful paradigm in Software Testing. It allows collaboration between Product and Dev team so that Acceptance Tests can be agreed upon before beginning development. Get started with writing BDD Scenarios for your Agile cycle using this starter kit. Angular5 provides easy-to-use framework for beginning your startup web application. The below starter kit contains integrated BootStrap CSS, Common pages for Login, Dashboard etc., Router, Http, Forms, Tests, Dev/Prod environments and Async/Lazy Routes. It fully incorporates John Papa Angular styling guide and provides the easiest way to kickstart your web application. If you are working on an embedded device with cellular connectivity, one of the main challenges is to make sure the embedded device would work with various different network configurations and operators. This handy test framework would sanitize the modem for different configurations and validate that cellular connectivity would be available across different network operators. For those of us using Gerrit for code review, this framework allows to integrate Git, Gerrit, Zuul, JIRA and Jenkins into a single platform allowing robust code-review integration into your development process. AutoTestR is a NodeJS based framework that provides automatic test-stubs generation for Java and Selenium. Create Page Objects without having to write a single line of code. This framework is an extensible and easy to use command-line utility. Below are some of our recent articles and blog posts on Test Automation. Please let us know if you want something featured here! This article provides an overview of how to build an automation framework from scratch. It follows one of our recent projects – and talks about how to identify requirements and test scenarios, how to capture those test scenarios in BDD and how to implement scenarios in Python. More. Managed QA Solution provides a independently managed QA solution for your company’s projects. Managed QA integrates within the Agile/Scrum framework and can work with Dev/Product teams to provide a comprehensive, fully-managed QA solution for your project. Read more on Medium. This article provides details on how to run an Angular or React web-app from behind a NGINX server. This is useful in many scenarios – but this article highlights on running it as a web-app on a Linux Embedded device. Read more on Medium. Jenkins is a very useful tool for Continuous Integration. It provides complete logs and test reports for all of the jobs it runs. However, if you have custom logs that you need for each job run, you would need to follow this article to get them enabled. Read more on Medium. To prove our capabilities – we are running the 6 weeks challenge. Whether you are looking for developing a Web-App or an Automation Framework or a CI/CD system – we will build it for you in 6 weeks. Our extensive experience with React, React-Native and Angular allows us to build your MVP in 6 weeks. The project is 100% transferrable – you retain all code, IP and Patents coming out of the project. Our in-house Automation Engineers using Python, Selenium and BDD can build a comprehensive Automation Framework in 6 weeks. Supercharge your development processes by incorporating Jenkins CI and Test Driven Development in your Agile framework. Our DevOps team specializes in legacy infrastructure migrations to the Cloud. Yes, all done in 6 weeks! We provide 24/7 support for any infrastructure issues.